Ginger is an integrative physical therapist, licensed athletic trainer, and founder of Professional Yoga Therapy Studies, an organization providing curricula and competencies for using yoga in medicine. Ms. Garner advocates for Americans to receive holistic and integrative medical care in order to improve health and health care in the US. 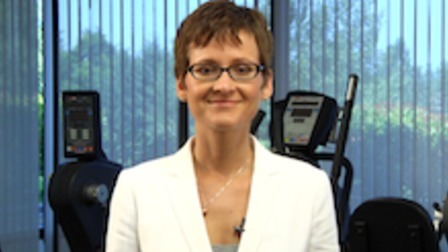 Her clinical fields of focus include public health education, orthopaedics, chronic pain, and women’s health. Ms. Garner has been teaching, writing, and lecturing for hospitals, clinics, and universities throughout the United States since 2000. Her medical yoga graduate and post-graduate programs teach non-dogmatic, evidence-based care through fostering east/west multi-disciplinary education. They are a first of their kind in the United States. Ginger can be contacted at www.gingergarner.com and www.professionalyogatherapy.org.